→SEO Essentials – What’s Working Now! A recent study by SearchMetrics recently set out to scientifically measure what drives top Google search engine rankings today. That social media is a major source of top search engine rankings! Understanding these changes is so important that I recently did a webinar, where I talked through each of the factors that most influences top rankings from the search engines. Here’s a replay of that webinar. It got a bit technical at times, but to truly understand how search engines work, you have to get technical at times! It’s well worth carefully watching this entire video! Watch this space for additional bonus content coming very soon. What are you going to do differently as a result of this video? Let me know by leaving a comment below. And don’t forget to +1, Share, Like, Tweet and Pin this post! I talk a lot about infographics in the webinar and shared a resource IÂ use to create mine – lots of choices for you to try out. Even if you have a graphic designer, you can play around with the templates and then hand it over to them for the final touches. 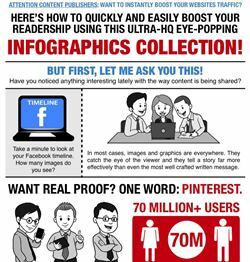 You’ll be thinking infographically in no time! Click here to get your –> Infographic Templates!